Rich in the protein, fat, minerals and vitamins, with a long shelf life, and economical price, distillers grains have become a popular feed ingredient for livestock. Distillers grains are a by-product of the ethanol production process. To produce biofuels, cereal grains are heated and fermented. The starch is converted into ethanol and removed. 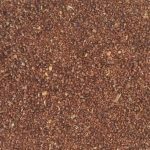 The mixture of concentrated protein, fibre, oil and minerals which remains is called stillage. Stillage can sold either wet (20 to 30% dry matter) or dry (90% dry matter). Typically, stillage is further separated into distillers’ grains and solubles. Solubles are recovered and incorporated into the distillers’ grains, called distillers’ grains with solubles (DGS). 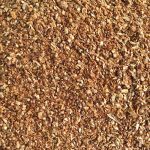 Dried Distillers Grain has an excellent shelf life, which makes it an excellent feed to be transported over longer distances. 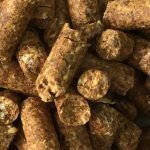 When DDGS is added to animal feeds that are properly formulated, it provides excellent animal health, performance and food product quality. Distillers grains are very palatable when mixed into a complete feed, or fed as a supplement that is top-dressed onto the base diet. 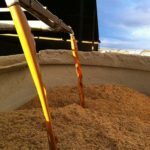 These attributes, and others, have made distillers grains one of the most popular feed ingredients to use in animal feeds both in Australia and around the world.